NEW YORK (Reuters) -- The National Basketball Association will break with tradition and place a sponsored corporate logo on player jerseys during the next two All-Star games, the league said on Thursday. A 3.25-inch-by-1.6-inch patch with a Kia Motors logo will be on the upper left chest of the jerseys for the 2016 game in Toronto and 2017 game in Charlotte, N.C., the NBA said. 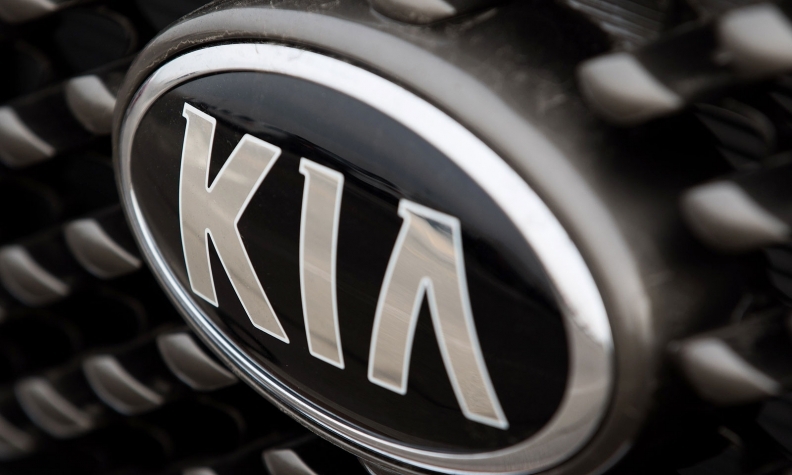 The logo was part of a deal between Kia Motors America and Turner Sports, the NBA said. Neither the NBA, Kia Motors nor Turner Sports would reveal the financial terms of the deal. While logos are commonplace in NASCAR and soccer and are on Women's National Basketball Association uniforms, the four major North American men's sports had all previously banned corporate logos on jerseys -- other than the clothing manufacturer -- for games played in the United States and Canada. The uniforms of the now-defunct National Football League Europa featured corporate logos, but they have always been banned for NFL games played in North America, the league said. Major League Baseball said it has had logos on helmets and arm patches for World Baseball Classic and MLB games outside the United States and Canada. National Hockey League teams have been able to put corporate sponsorships on their practice jerseys, but not on game jerseys, a league spokesman said.